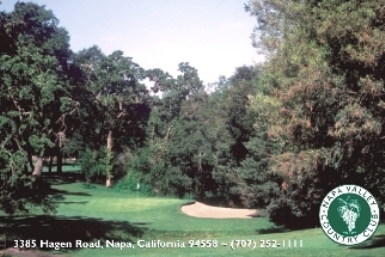 Eagle Vines Golf Club is a Semi-Private 18 hole golf course located in Napa, California. 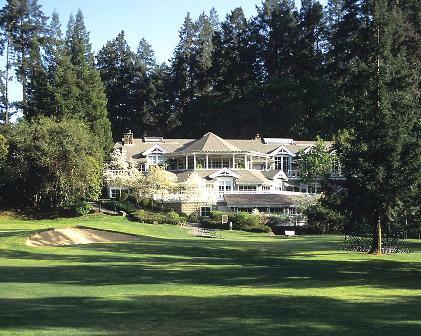 Eagle Vines Golf Club first opened for play in 2004.  The course was designed by Johnny Miller. 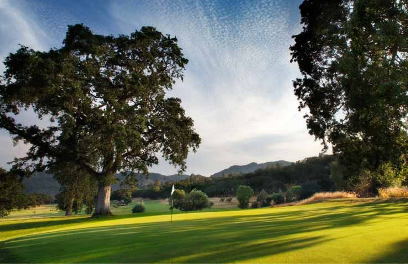 The course has taken advantage of the natural beauties of Napa Valley's rolling hills, majestic oak trees, creeks, and working vineyards. 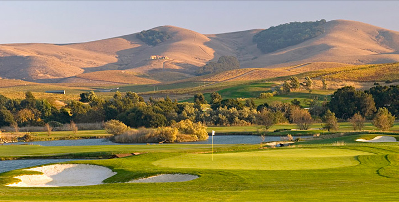 Eagle Vines Vineyards and Golf Club is a premiere Napa Valley golf course situated in the foothills with vineyard views in every direction. 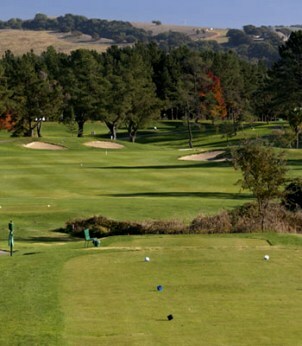 The course was founded on the belief that nature and golf were meant to co-exist in harmony. Par for the course is 72. From the back tees the course plays to 7,297 yards. From the forward tees the course measures 5,587 yards. The longest hole on the course is # 16, a par-5 that plays to 598 yards. 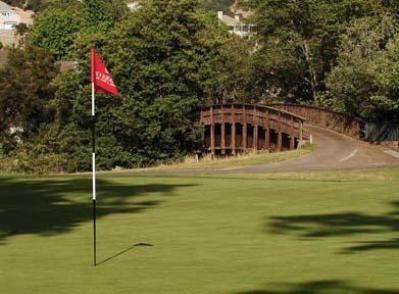 The shortest hole on the course is # 6, a par-3 that plays to 165 yards from the back tees. Watch out for # 14, a 472 yard par-4 challenge and the #1 handicap hole on the course. The easiest hole at Eagle Vines Golf Club is # 6, the 165 yard par-3. I consider this my home course, and attempt to play at least once a week early in the mornings. Pace of play is wonderful early in the day, it can slow down later in the day due to popularity. Driving range is a bit cramped (limited wood play) yet the overall facility and course quality makes this a minor inconvenience. Excellent challenge, making this a good thinking person's golf course! I like this course a lot. We drove 80 miles each way to play it last fall. I won a certificate for a free round, so we drove there again last week. They advertise that it is a Johnny Miller design, but I like the front nine (mostly not a Miller design) better than the back nine (mostly Miller designed). Holes 4 - 9 have an interesting variety of challenges. 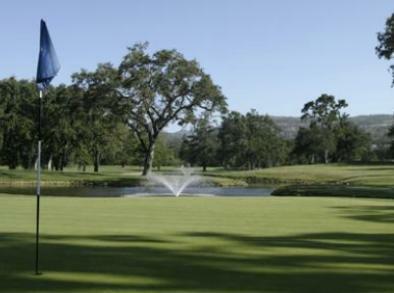 The golfer has to maneuver around creeks, lakes, vineyards, hills and valleys. Course conditions were good even in February, and pace of play was fine. The staff is helpful and friendly. They want out of their way to help my friend who had car trouble on our first visit. Great views playing through the vineyards. The greens were in terrible shape. The bunkers not well kept. Overall not a bad experience, would rather play Chardonay or Hiddenbrooke for my money. Having played Chardonnay earlier in the year, I thought it was in better shape, and it cost a little less too. Five hour rounds are now the norm on Mondays, the day I generally play Eagle Vines. No longer acceptable, I'll wait for the winter when play speeds up. Marshals do nothing but politely ask the groups to speed up play --if they are to be found. Too bad, this used to be the best place around--all around, but no more. By two o'clock the front nine always looks empty, guess pace of play is no secret. Eagle Vines has many interesting holes. Rarely do you play the same hole twice. It was a lot of fun, and I plan on playing there again. 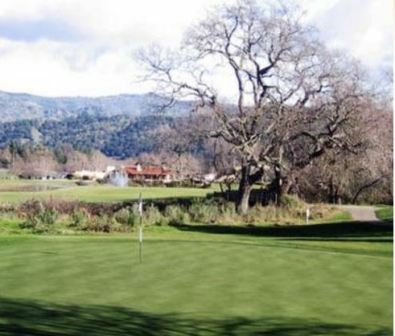 If you ever had a chance to play the old Chardonnay Shakespeare private course, this course incorporates nine holes from that course into its design, including the beautiful island green hole. Beautiful layout, beautiful scenery, challenging, but fair. Definitely worth traveling to play this course. Bar Drinks were way too expensive. We got a deal that day since the driving range was closed due to a downed tree so the price was not the normal charge. Nice course layout. Very playable and moderately difficult if not prepared or played at least once. The price can high depending on the time of day. There are other ourses nearby that offer the same price but because of the layout compared to others of the same price range, I would play Eagle Vines. Great Course with beautiful scenery!